The first few sections of this monograph deal with topics related to the influenza virus, with special attention on the 1918 Spanish Flu, which was the last major pandemic. What happened then is the best source of information on what could happen now. Given the predictable effect a major pandemic will have on society and essential services, several prudent suggestions are provided for you to consider taking before the pandemic sets in. During a major pandemic, many ordinary people will find themselves responsible for providing medical care to loved ones and friends. Under usual circumstances patients this sick would be hospitalized but during a major pandemic, that option is not likely to be available. To assist you in this heroic lifesaving task, I have included advice on how to provide home care to very sick or even dying influenza patients. nor one more like the 1958 flu pandemic. My advice is to prepare for the worst and hope for the best. The first few sections of this monograph deal with topics related to the influenza virus, with special attention on the 1918 Spanish Flu, which was the last major pandemic. What happened then is the best source of information on what could happen now. Given the extremely disruptive effect a major pandemic would have on society and essential services, several prudent suggestions are provided for you to consider taking before the pandemic sets in. The purpose of this document is to provide infection control guidance to help prevent the transmission of acute infectious respiratory diseases during health care, with emphasis on acute respiratory diseases that may constitute a public health emergency of international concern as defined in the International Health Regulations (2005; Annex 1). 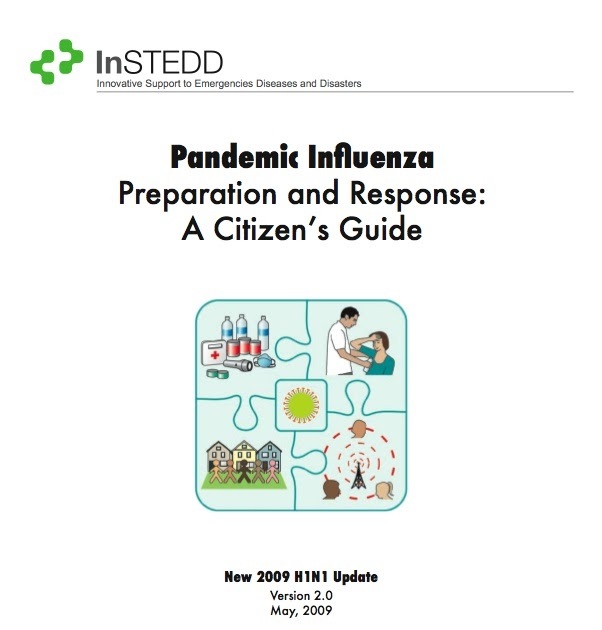 Managers of health-care facilities may also consider using this guidance to assist them in preparation for epidemics and pandemics. 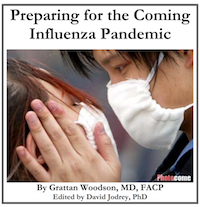 Most public health specialists from around the world believe that there will be another human influenza pandemic, a pandemic caused by an avian influenza virus that can cause human illness and has mutated to a form that spreads from person to person. Such a random event has occurred three times during the past century, causing three different influenza pandemics. Pandemics are diseases without borders. The influenza virus will not respect economic, political, and geographic boundaries. National estimates indicate that a pandemic could infect more than one-third of the world’s population, killing mil- lions. A severe pandemic outbreak will result in absenteeism of up to 40 percent of the workforce, dramatically decreasing the number of available workers and signifi- cantly disrupting the movement of people and goods. When a pandemic occurs, life as we know it will change — in culture and in politics as well as in the prosperity of any nation it touches. We need to be prepared, both personally and professionally, to respond. Our businesses need to know how to stay operational for society to remain functional. First link is a general overview.